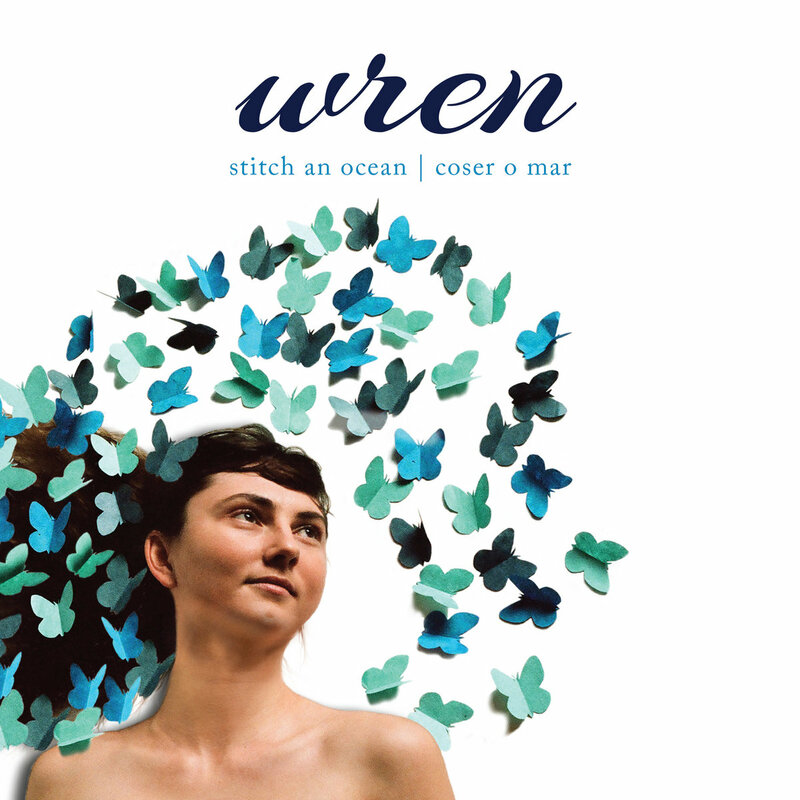 Comes in a lovely, sea-themed wallet with cover art by Colette-Yasi Naraghi and graphic design by Karla Holman. 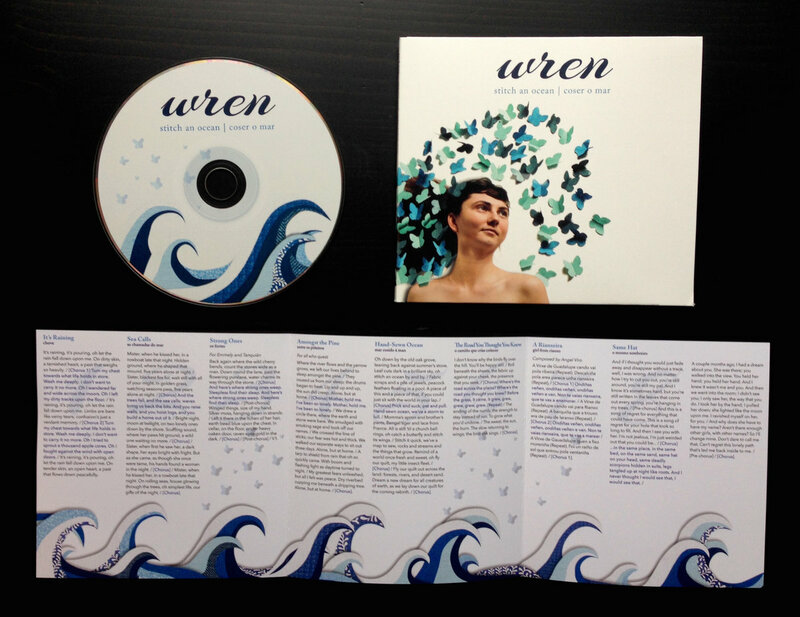 The lyric-book insert includes lyrics to all songs, with song-titles translated into Gallego. Includes unlimited streaming of Stitch an Ocean via the free Bandcamp app, plus high-quality download in MP3, FLAC and more. 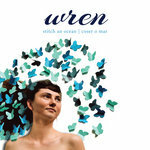 Get all 3 Wren releases available on Bandcamp and save 20%. 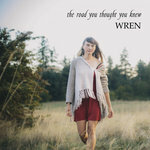 Includes unlimited streaming via the free Bandcamp app, plus high-quality downloads of Stitch an Ocean, The Road You Thought You Knew, and Bone Nest. , and , . Wren’s alternative folk music is sweet and whimsical, grounded in classical guitar finger-picking, gentle vocal harmonies, and sweeping fiddle lines. 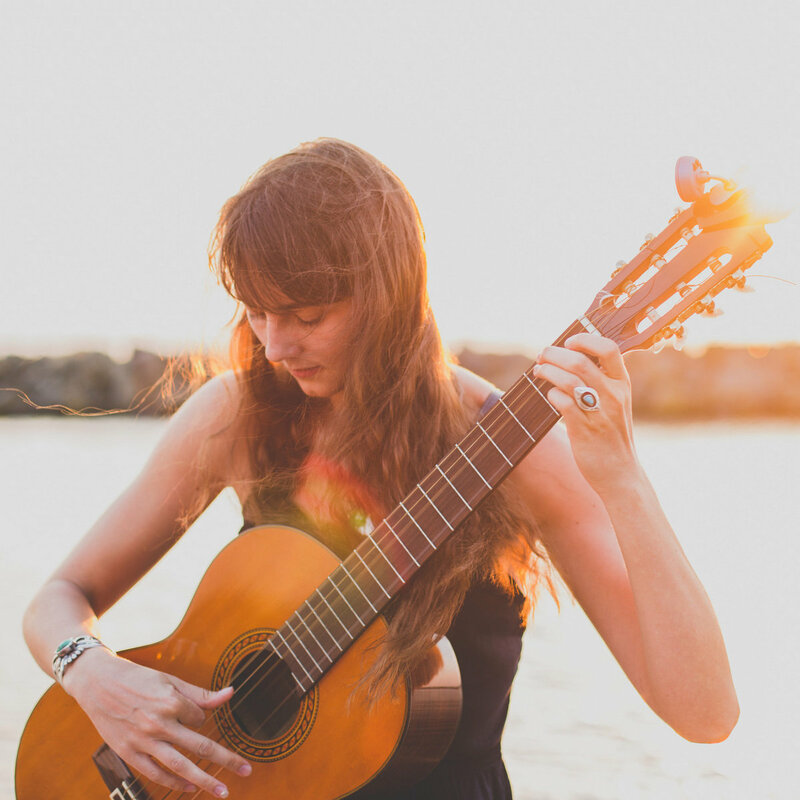 Described as possessing a “naturalness and a philosophical bent at the same time,” her haunting melodies evoke the lands and waters of the Pacific Northwest. 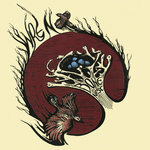 Her first album Bone Nest was released in late June, 2012.